After Alfalfa’s passing, I decide to adopt from a local rescue organization. While looking on their site, I noticed how nice many of the cages looked. 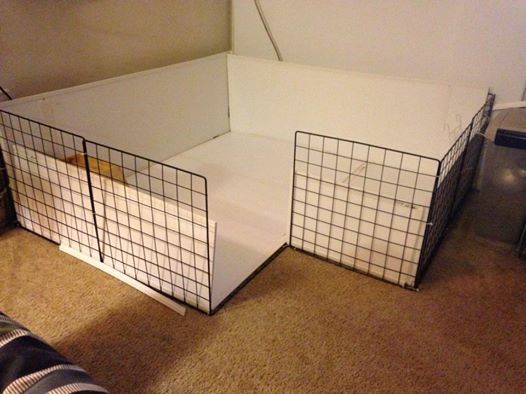 So, I decided that the new pigs would get a new home-made cage. I also decided that I was going to build it. How hard could it be? There are plans and instructions all over the internet. All I need to do was gather my supplies and then build it…right? What could go wrong? This is the WRONG size cube to use for a cage. 1) Alcohol – When the cage building gets tough, the tough drink alcohol. Make sure that you apply this supply liberally. 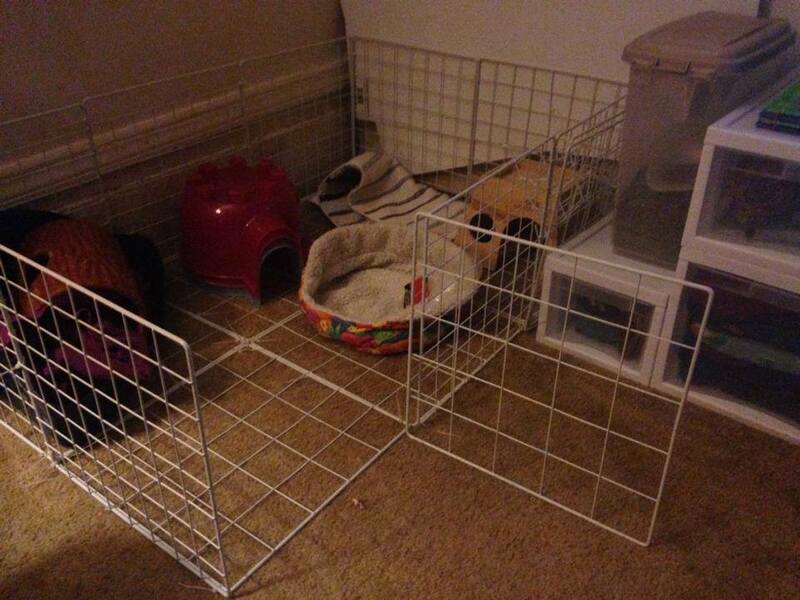 The more you use the easier the cage building will become…trust me. 2) Band-Aids – Face it: You will cut yourself during this process. You might as well be prepared. 3) Pain Medication– During this process, you will need to bend your body in ways it shouldn’t go for your age. You will hurt in places you never knew existed. So, be prepared for it. 5) Cubes – For guinea pigs, a 9×9 opening cube is the best. Anything larger may put your guinea pigs at risk for getting their heads stuck in the openings. Always open the cube box before your buy it. Some cubes are marked as 9×9 but have different sizes in the box. One brand has 10 cube sides and only 4 of them are 9×9 the others are 7×7. It’s not worth buying that brand. 6) Coroplastic – The coroplastic is the main surface for your cage. You will need lots of this. Make sure you measure and plan ahead. Oh, and as an added bonus, the cheapest size for the area will NOT fit in 99.99999% of cars. Have fun trying to get it home. Don’t try to tie it to the roof of the car. It’s nothing but a large sail. Your car may take off once you reach 35 mph. The cage as of today. It will change… again. 7) Tape Measure – This is need to measure the parts of your cage. You won’t measure anything correctly if you properly partake in #1. Just try your hardest and buy lots extra of everything. 8) Zip Ties – Zip ties are great for securing the cubes of the cage. However, they can be deadly. I’ve cut myself on these suckers more times that I will admit. That’s why I’ve included #2 on this list. 9) Box Cutter – This is most dangerous part of the whole cage assembly. These things are sharp. You can cut yourself. Be careful. I wasn’t… but that’s another part of this story. 10) Patience – Ok, this is the one item that you can’t buy at a store. However, you will need this the most and have the least of it.